Information has become one of the most valuable things nowadays. Some companies even pay millions of dollars to have access to data that can help them with sales and to plan better market strategies.Therefore it’s clear that we’ve been living in a world driven by data, and keep all of this data safe is a big concern. That is why Smart Contract Audit is a mandatory step before deploying the computer-based contract. Before going through the audit itself, let’s take a look in what is a Smart Contract. Its self-executing nature is extremely attractive because it has the power to automate process’ and contract performance. It also reduces paperwork and even simplifies the work of lawyers and accountants. Smart Contract Development started to become more popular once the Ethereum blockchain emerged in the digital world. Before Ethereum, the existing distributed-ledger networks were limited to a few operations, making harder to come up with blockchain solutions. Now, the digital protocol is on a rise and it is being used for different types of industries and situations, from secure financial transactions to even automate rent settlements. But to make sure the Smart Contract perform as expected, auditing is necessary. Fundamentally, the Smart Contract Audit is just like a regular code audit, a thorough investigation of the digital contract code and architecture to find flaws and security breaches. As we mentioned, Smart Contracts can be applied in almost any type of business, so it’s imperative for it to be 100% secure and with minimal risk of error or vulnerability. Once the digital contract is ready, the auditing comes into the game. 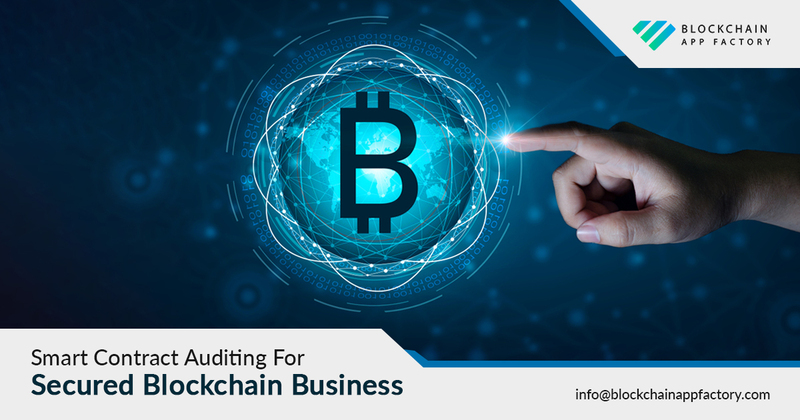 Audit – Using specifics Smart Contract Security Tools, extensive tests are done to verify if the contract is performing as expected and to find any default. Report – After the tests are done, a Smart Contract Audit Report is created. The report explains the issues found in the code and architecture and suggests the right solutions to fix the problem. Fixes – All the security breaches and issues are fixed. Second audit – The developers review the changes to make sure everything was solved. If needed, they can also perform a Penetration Test. Deploy – The Smart Contract is ready to be published. Smart Contracts have the potential to change the way we do business and develop contracts and settlements. Blockchain App Factory acknowledges that and is already prepared to offer the clients Ethereum Smart Contract Security Audit Service. Our expert team of developers understand your need for security and will perform meticulous auditing.